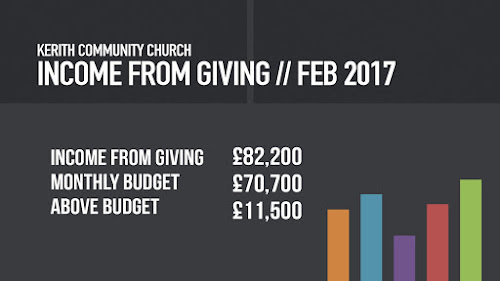 Sorry it's a bit late but I wanted to update you on our giving to the end of February. 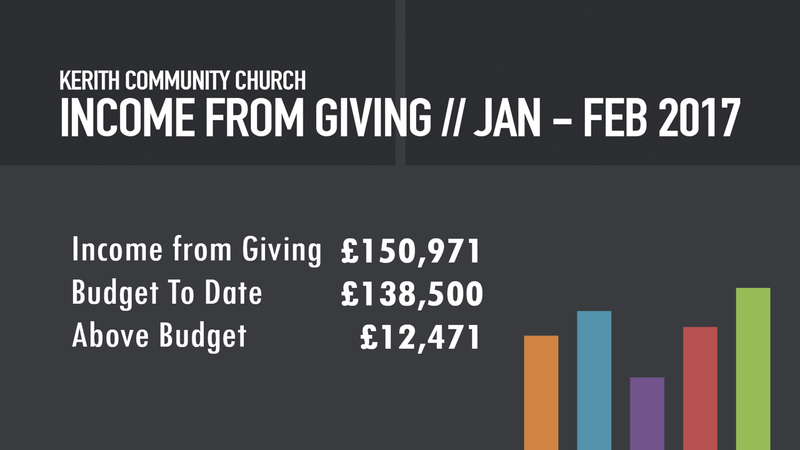 As you can see above February giving was excellent, at £11,500 over budget. This year we've set the monthly budget a bit differently. Over the last few years we simply took the budgeted giving for the year and divided it by 12 to give each month's budgetted giving. This year we've tried to take into account that we know that in some months (such as January, February and August) the offerings are normally lower, and in other months (such as March and June) they are normally higher. 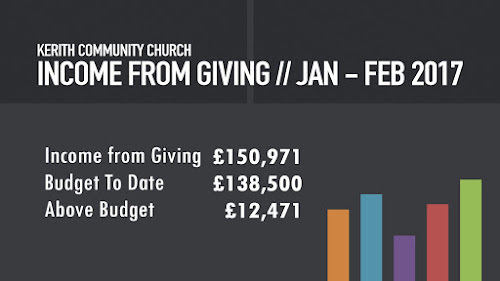 Based on the old method this month's budgetted giving would have been £73,360, so either way we're well above budget. For the year to date we're an even better £12,471 over budget which is great. If offerings continue to be above budget it will allow us to do even more of what we currently do. Helping people of all ages and backgrounds find their way back to God. People in our local community, in the nation and in the nations. A huge thank you to everyone involved in the grace of giving at Kerith.